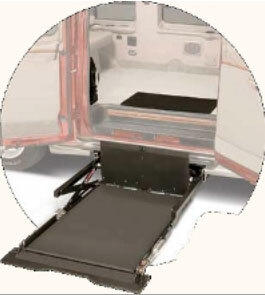 BraunAbility makes some of the finest personal use wheelchair lifts and commercial handicap lifts in America. 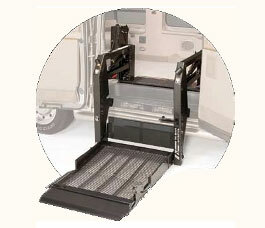 As a leading Braun dealer in Virginia, Independent Lifestyles is your source for Braun platform lifts. 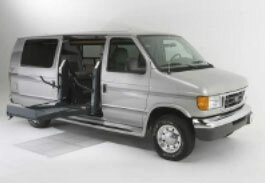 Our trained staff can help you select the most appropriate Braun Lift for your full size van or minivan, and our factory certified service technicians will install your new wheelchair lift to the highest standards in the mobility industry. We also have access to Braun lift parts, and can do service work on any existing Braun handicap lifts. Remains out of sight and out of your way until needed. Controlled by the standard hand-held control or the optional remote control. The UVL Series is designed for installation at the side door of domestic full-size vans. 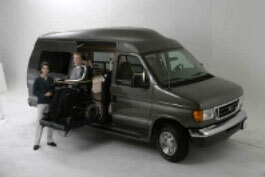 Over half the van’s side door is available for easy ambulatory exit and entry when the lift is in the stowed position. The Vangater Series wheelchair lifts are fully electric in operation, for both the fold/unfold and up/down cycles. With the compact tri-fold platform, the lift occupies minimal space inside the vehicle. 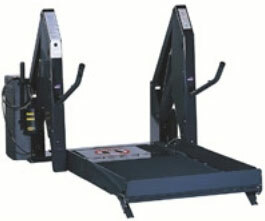 The Century Series is an economical solution to your personal mobility.. 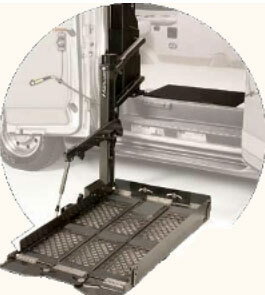 Independent Lifestyles is a leading dealer in Virginia for VMI Ricon vertical platform wheelchair lifts. Our Certified Mobility Consultants can show you the different models of Ricon wheelchair lifts available, and match the best wheelchair lift with the full size van of your choice. All the handicap lifts we sell are installed by our professional service staff, who ensure a proper and safe installation. 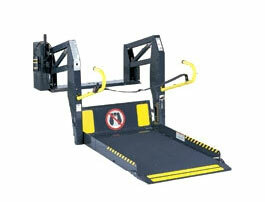 We also offer parts and service for all VMI Ricon mobility lifts. All steel frame features convenient handrails for increased comfort and security. Stable, non-skid platform with automatic inboard and outboard rollstops accommodate most wheelchairs and scooters. Pre-lubricated bearings at all major pivot points offer long term durability. Permanent no-lube bearings at all major pivot points. The KlearVueTM does not require a raised roof or lowered floor. Stable and compact when stowed.